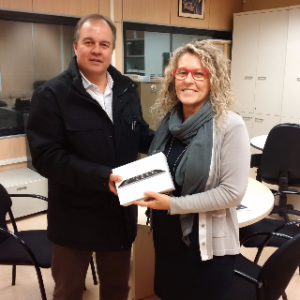 Badia i Associats, en la persona de Manel Badia, ha fet entrega del Premi Ipad mini a la Sra Rosa Porter de l’empresa Estruagua de Granollers, avui 23 de Febrer del al 2016. El premi estava patrocinat per la companyia Axa Assegurances, en motiu de la campanya de contractació de noves pòlisses d’accidents. Why badiaasociados.com loads so slow? this web page, and your views are good for new viewers. I needed to write you that bit of note just to thank you very much again for all the wonderful methods you have documented in this case. This has been simply open-handed with you to give openly exactly what numerous people would’ve marketed for an ebook to earn some profit on their own, particularly since you could possibly have done it if you decided. The concepts in addition served to be a good way to understand that other people have a similar fervor really like my own to figure out lots more when it comes to this problem. I know there are millions of more pleasant occasions in the future for individuals who read through your blog post. I enjoy you because of all your valuable hard work on this web page. Kate really loves doing investigations and it’s simple to grasp why. A number of us notice all concerning the dynamic ways you produce powerful guides by means of the web site and in addition cause participation from other people on this matter and our princess has always been studying a great deal. Take advantage of the remaining portion of the year. You’re conducting a splendid job. I would like to convey my respect for your kindness in support of those who actually need help with this field. Your special commitment to passing the solution all-around appeared to be wonderfully informative and has continually allowed guys and women just like me to get to their objectives. Your amazing warm and helpful help entails a lot to me and additionally to my office workers. Thank you; from each one of us. Thank you a lot for providing individuals with an exceptionally superb possiblity to read from this web site. It is always very terrific and also stuffed with a good time for me and my office fellow workers to visit your blog at the very least three times per week to read through the fresh things you have. And indeed, I am actually motivated with the very good tricks you serve. Some two areas on this page are certainly the finest we’ve had.